We serve Poughkeepsie, Millbrook and many nearby areas in New York. At Expediant Environmental Solutions, LLC our team of in-house crawl space experts has just what you need to encapsulate your crawl space and keep it a warm, dry, and clean-looking place--one you won't mind crawling into! 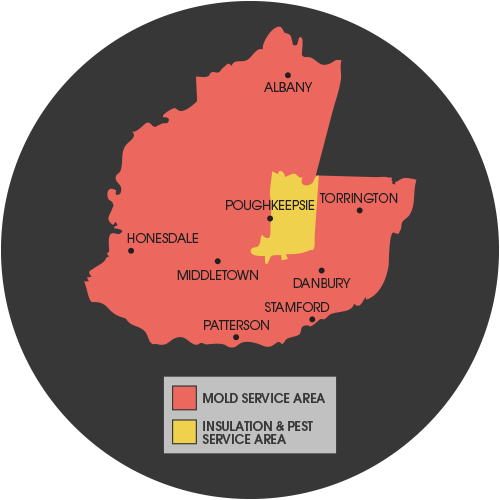 We proudly serve Poughkeepsie, Millbrook and many other parts of New York.